Most people have relocated enough times in the past to know that breakage and damage occur during a short- or long-distance relocation. You may accidentally drop a plate while packing up the kitchen, or your refrigerator may get dented on the way out the front door. Despite the inherent moving risks, there are several methods and strategies that you can use to protect your belongings while you prepare for the relocation as well as on moving day. In addition to the bubble wrap, plastic wrap, wrapping paper and other materials, moving blankets are a moving day essential to protect furniture. How Many Moving Blankets Do I Need? Professionals recommend one dozen blankets for every 5’ of truck length. 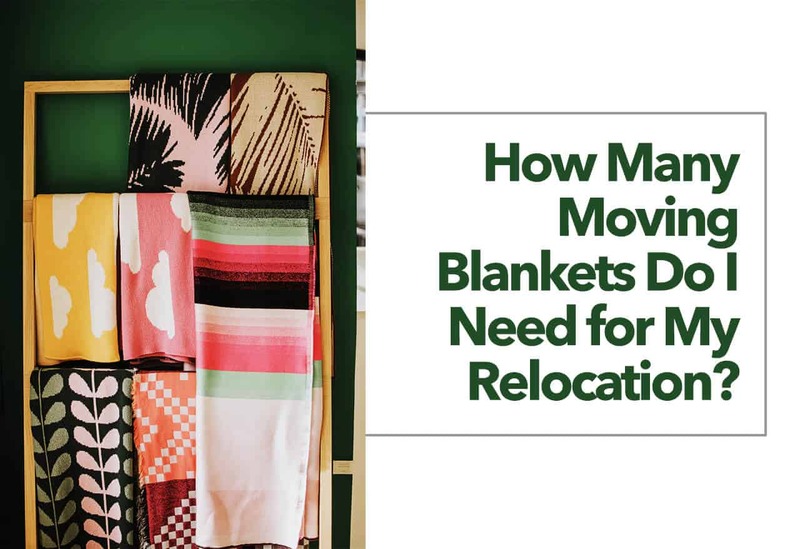 For example, if you’re renting a 20-foot U-Haul, you may want as many as four dozen moving blankets on hand for the move. One of the best ways to estimate how many blankets you need while relocating is to walk from room to room assessing your needs. Smaller furnishings, such as your nightstand, may take one blanket. A more substantial item, such as your entertainment center or armoire, may use two blankets. Some furnishings need disassembly before you load them onto the truck. For example, your dining room table may need to have the legs removed. Because of this, you may need one blanket for the tabletop, one to bundle the legs, and several more to wrap each chair. Remember also to count your appliances and electronics. If you run out of blankets on moving day, you will either need to run to the store or risk having your items damaged. These are both undesirable options. It is best to estimate on the high end and to have too many blankets than not enough. If you’re renting blankets, adding another dozen to your order isn’t expensive. If you buy blankets, you can always return the unused ones or resell them on Craigslist or another platform. Before you rush out and purchase moving blankets, think if of alternatives you can use to serve the same purpose. For example, some movers will use plastic wrap around furnishings to protect the items as they are carried out the door. If you are loading your own truck, you may use comforters and blankets in your linen closet to protect your items. Many people do not own enough thick blankets for all of their relocation needs, so you may still need to rent or buy a bundle of blankets. Take stock of the blankets available for this purpose in your home. If you plan to use your comforters and blankets for this purpose, remember to keep them out of your boxes when you are packing.